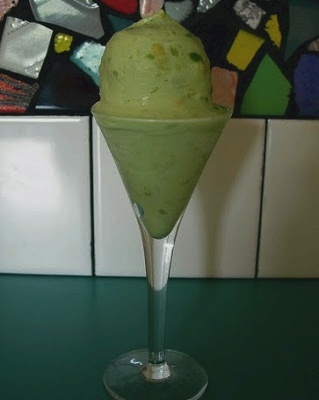 Avocado Ice Cream Recipe. Avocado is a fruit prepared in most savory dishes, with its creaminess lends itself to many desserts, including avocado ice cream. mixture back into the hot liquid OFF THE FLAME. Let cool. lime. Freeze in an ice cream freezer according to the manufacturer’s instructions. Passionfruit: Add 1/4 cup passionfruit puree.